Explore 4 Open Studios and 1 Open Garden in style! Relax in comfort and in good company while you explore the trail. Our bus tour allows plenty of time to meet the artists and wander the garden. Air-conditioned, with comfy seats and easy, one step access coach. Onsite parking at all venues. 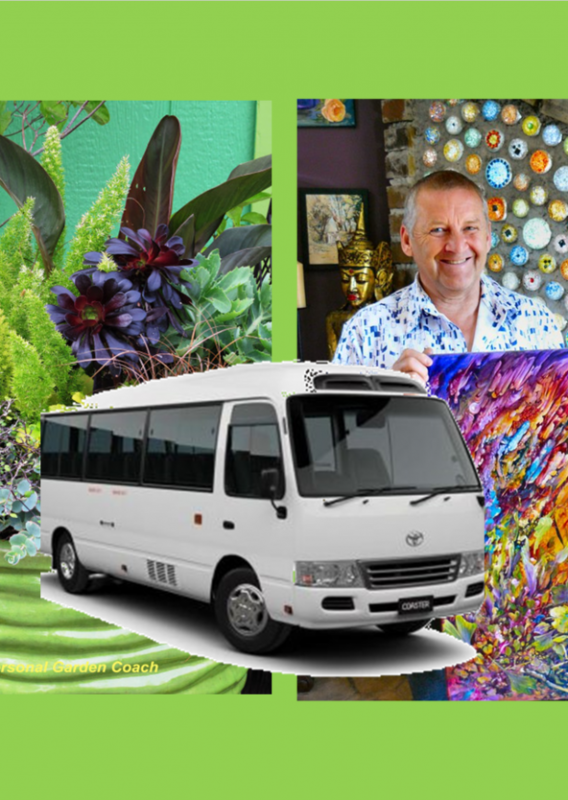 The tour price of just $70 includes bus and driver hire, lunch and open garden entry fee. Seats are strictly limited, and all bookings must be made by Saturday June 2.